Journos demonstrate fine prophesy skills! Hot off the press from thewest.com.au this morning, this sensational report attributed to Canberra-based journos Andrew Probyn and Shane Wright (how does this double-act work, I wonder – first Andy types a word, then Shane? 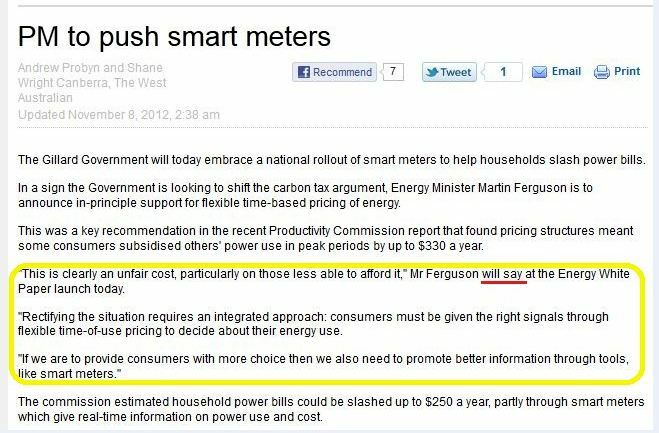 ), which actually predicts, verbatim, Energy Minister Martin Ferguson’s speech later today! Poor phrasing. Sloppy! Should know better at this stage. Acknowledge source of quote. Future tense not appropriate. Re-phrase. Resubmit. Fail. This entry was posted in Words and Phrases and tagged Andrew Probyn Canberra, Shane Wright Canberra, west australian sloppy journalism by admin. Bookmark the permalink.